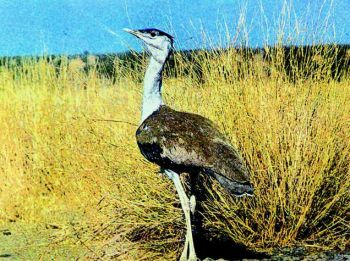 KOCHI: The Great Indian Bustard, a bird species once found in abundance across the grasslands of India, is facing the risk of extinction. The 2011 Red List of birds, released by the International Union for Conservation of Nature (IUCN), has enlisted the bird in the Critically Endangered category, the highest level of threat. The population of the species is estimated to be just 250. Hunting, habitat loss and fragmentation have reduced the number of this species, which was found in large numbers in the grasslands of India and Pakistan. But their population is now restricted to small and isolated fragments of remaining habitats, says the Birdlife International, which prepared the list. The BirdLife International “coordinates the categorisation and documentation of all bird species for the IUCN Red List.” According to the 2011 assessment, 1,253 species are considered threatened with extinction. These include albatrosses, cranes, parrots, pheasants, and pigeons. The larger-bodied species and those with low reproductive rates are more likely to be threatened, the report says. The birds have unmistakable, large, brown-and-white body with black crown and wing markings. The males have whitish neck and under parts with narrow black breast-band. The females are smaller, with greyer neck and typically no breast-band. The population of the bird was estimated to be around 300 in 2008. The population viability analysis lends some support to a predicted decline of over 50 per cent of the species in the next 47 years if no additional conservation actions are taken, the report cautions. In India, the bird is now restricted to Rajasthan, Gujarat, Maharashtra, Andhra Pradesh, and Karnataka. Earlier it was distributed from Punjab east through Orissa and south to Tamil Nadu, says P.O. Nameer, South Asian coordinator, in situ, Conservation Breeding Specialist Group, Species Survival Commission, IUCN. Besides the Bustard, the list has enumerated 15 species from India as critically endangered and 16 as endangered ones. There are 55 vulnerable ones and 65 near-threatened bird species in the country. Some of the critically endangered Indian varieties include the Himalayan Quail, Pink-headed Duck, White-bellied Heron and Christmas Island Frigatebird. The vulture species found in India namely the White-backed, the Indian, the Slender-billed and the Red-headed are also in the critical list, says Dr. Nameer. The list has classified 189 species worldwide as critically endangered, 381 as endangered with very high risk of extinction and 683 as vulnerable with high risk of extinction. 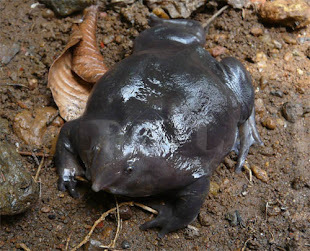 It has also listed 843 species as near-threatened. A total of 2,096 species were treated as global conservation priorities. The threat status of 62 species could not be properly assessed following deficiency of data.